Editor's note: This post covers Favio's selections for the top 7 R packages of 2018. Yesterday's post covered his top 7 Python libraries of the year. 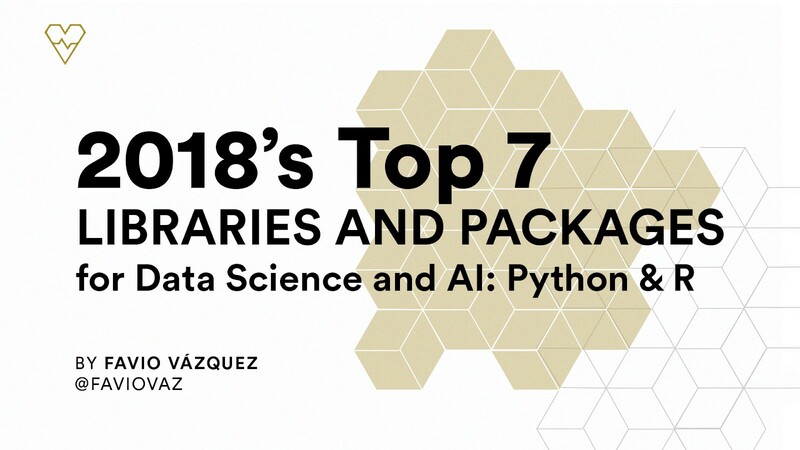 If you follow me, you know that this year I started a series called Weekly Digest for Data Science and AI: Python & R, where I highlighted the best libraries, repos, packages, and tools that help us be better data scientists for all kinds of tasks. The great folks at Heartbeat sponsored a lot of these digests, and they asked me to create a list of the best of the best—those libraries that really changed or improved the way we worked this year (and beyond). Disclaimer: This list is based on the libraries and packages I reviewed in my personal newsletter. All of them were trending in one way or another among programmers, data scientists, and AI enthusiasts. Some of them were created before 2018, but if they were trending, they could be considered. Inference, or statistical inference, is the process of using data analysis to deduce properties of an underlying probability distribution. Let’s try a simple example on the mtcars dataset to see what the library can do for us. First, let’s overwrite mtcars so that the variables cyl, vs, am, gear, and carb are factors. We’ll try hypothesis testing. Here, a hypothesis is proposed so that it’s testable on the basis of observing a process that’s modeled via a set of random variables. Normally, two statistical data sets are compared, or a data set obtained by sampling is compared against a synthetic data set from an idealized model. month %in% c(4:9) ~ "summer"
between(hour, 13, 24) ~ "not morning"
But this tool I’m showing you is a very cool package with simple functions for data cleaning. Oh, and it’s a tidyverse-oriented package. Specifically, it works nicely with the %>% pipe and is optimized for cleaning data brought in with the readr and readxl packages. I’m using the example from the repo, and the data dirty_data.xlsx. With the clean_names() function, we’re telling R that we’re about to use janitor. Then we clean the empty rows and columns, and then using dplyr we change the format for the dates, create a new column with the information of certification and certification_1, and then drop them. we can find duplicated records that have the same name and last name. 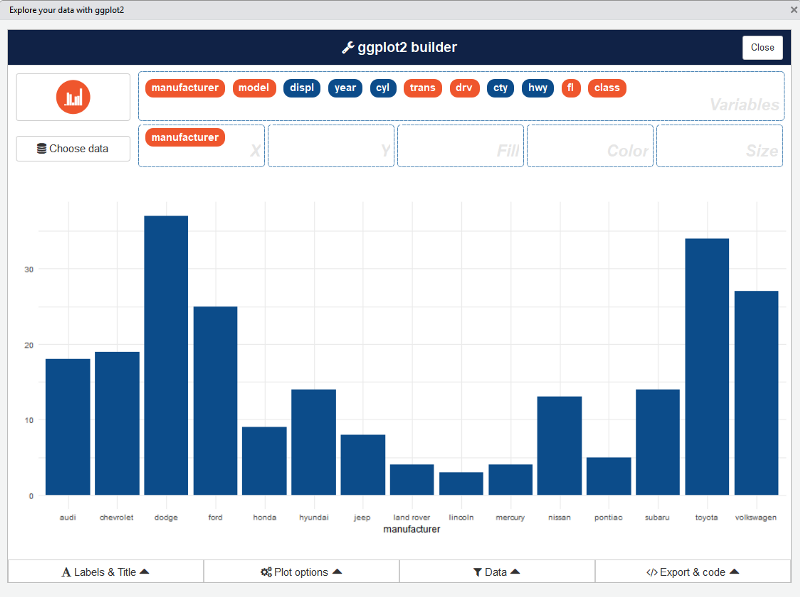 This add-in allows you to interactively explore your data by visualizing it with the ggplot2 package. It allows you to draw bar graphs, curves, scatter plots, and histograms, and then export the graph or retrieve the code generating the graph. 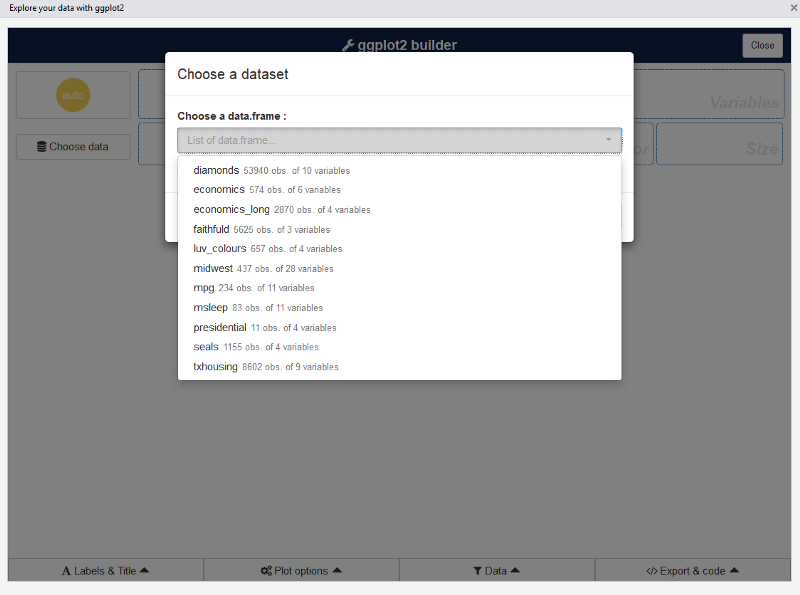 Then launch the add-in via the RStudio menu. 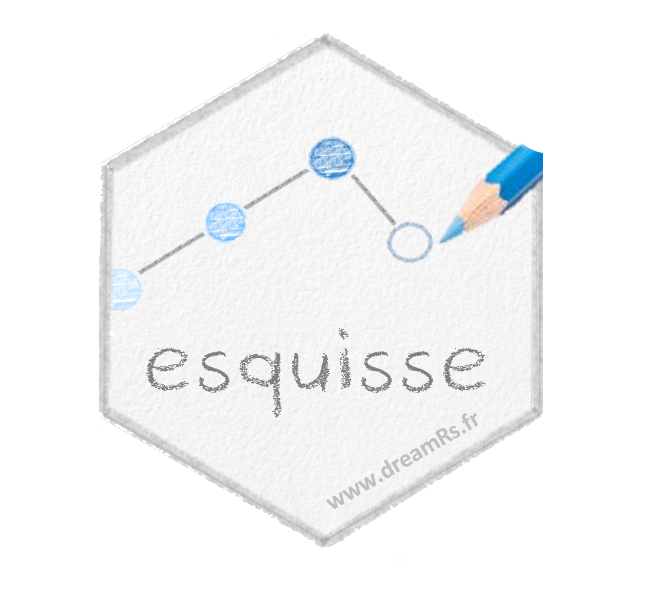 If you don’t have data.framein your environment, datasets in ggplot2 are used.